This year started off with big volatility, and while the size of market moves has calmed down a bit, the up-and-down bounce has been a constant this year. With little hope of the news cycle slowing down, and with mid-term elections this fall adding fuel to the fire, it can be hard to see an end in sight. At times like this it can be difficult to know how, and if, to react. One thing we know, which is hard-wired into our brains, is that we as humans are programmed to react quickly in times of stress. We have an instinctual reaction to get away from perceived danger. This is great when a tiger is chasing you, but this fight-or-flight system sacrifices good decision making in favor of fast decision making. When it comes to managing your money, its much better to make good decisions than fast decisions. That is why, particularly in times like this, it is important to rely on good disciplines. Things like staying balanced, rebalancing, and fighting the urge to overreact to news that may flip on its head tomorrow will save your bacon in the long run. Here’s a great little guide to help understand why keeping a cool head can help you prevail. And if you’re feeling nervous about the state of the world or your money, let’s talk about it. Before you know it, the school year will be upon us. For those of you in Minnesota, there are a couple of changes over the past year that have opened up some great planning opportunities that could help you save on taxes while also planning for you child’s education. 1. You can now get a tax deduction on some or all of the funds that you contribute to a 529 plan. 2. 529 plans can now be used for private school tuition as well as college expenses. If you are paying for private school or college but are not using a 529 plan, you may be missing a great opportunity. Those of you in other states may have similar benefits to explore. In This Newsletter Keeping calm in choppy markets Minnesota 529 plan changes ABC’s of 529 Plans Beyond the wall of worry – Clearbridge investments Gauging the market impact of global trade tensions – Blackrock Three risk indicators to watch this year – John Hancock Is the cycle over? Ask your advisor about this topic for more specific information and advice, and if you know someone paying school bills encourage them to give us a call. For more information on the changes in Minnesota go here. For more information on 529’s in general, go here. So what is going on with the markets these days anyway? As we mentioned before, a lot of ups and downs. And where it seems that everyone is getting more concerned about the risks in the market, the underlying data is still actually quite good. Absent trade war concerns, the broad views could be summarized as “cautiously optimistic”. A great chart here gives evidence to the claim of strong underlying fundamentals. Despite the broadly positive conclusion from most corners, no one denies that there are risks out there and this is one to watch. Highlighting some other areas to watch when monitoring the markets. A good summary of the overall landscape, including a link to their more detailed mid-year outlook. 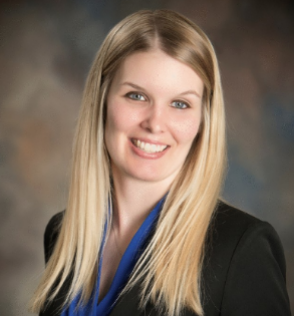 Amanda has recently joined our Signature Wealth Management team as a Paraplanner working out of our Duluth office. Amanda moved from Wausau, a small town in central Wisconsin where she was born and raised, back to Duluth earlier this year with her husband Nick. Amanda and Nick are both graduates of the University of Minnesota – Duluth and are very excited to be back in the Duluth area. Outside of work, Amanda enjoys spending time participating in various outdoor activities such as hiking and camping. Both Amanda and her husband are avid downhill skiers and are looking forward to the upcoming ski season.